Like most fashion shows, the biggest constraint to How Do I Look? SA is the preceding shows in the TV makeover genre. They can often be tasteless and, by proxy, you want to avoid these dated TV rags. On How Do I Look? 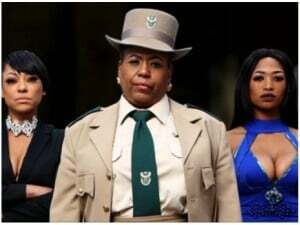 SA, hosted by a very pregnant Roxy Burger and Kat Sinivasan, you’ll find yourself actually feeling sympathetic towards the person who is getting an appearance transformation. The clothes and the way the style story is told keeps you glued to the screen, and the fashion makeover reveal at the end is not just heart-warmingly real, but a satisfying pay-off for having watched an entire episode. This show could very easily have gone off the fitting room rails and become another empty TV product, but, instead, it’s purposeful. In one of the episodes, a woman with a preference for biker clothing aspires to become the chief executive officer of her company, but says she isn’t being taken seriously because of her style choices. The show comes up with alternatives she hadn’t thought of that could strike a balance between what she feels comfortable with, and what will project a more professional corporate image. Every episode revolves around making it more than just a makeover for the sake of a makeover show. How Do I Look? SA also happens to be the best TV vehicle yet for Burger to really showcase what she’s good at. Without emotional mimicking or fake sentiment, Burger truly channels a type of sincere Oprah-like quality in guiding and offering a supportive presence to the various people having their wardrobes transformed. The lighting is exceptional – especially because the sets at Urban Brew Studios are large white walls, a backdrop notoriously difficult to film against because it quickly reveals the smallest cracks and holes. Kudos to the lighting technicians and whoever constantly ran around with a bucket full of white paint to do touch-ups. Some How Do I Look? SA aspects aren’t great and detract from the show, but that doesn’t make it all bad. For instance, co-presenter Sinivasan, although very fashion literate and stylish, doesn’t have Burger’s rapport with those receiving makeovers. During the “middle” segments, episodes drag a bit, and old clothes being sucked up by a transparent perspex vacuum tube feels like a play-for-time filler – it’s too gimmicky. It’s also sad that South African beauty products aren’t being used on a locally produced show for local women – instead, it’s Kardashian this and Kardashian that, but that’s corporate synergy at work for you. How Do I Look? SA brings a bit of intentional purpose and education in a wasteland of perfunctory fashion television – and it’s fun to watch.